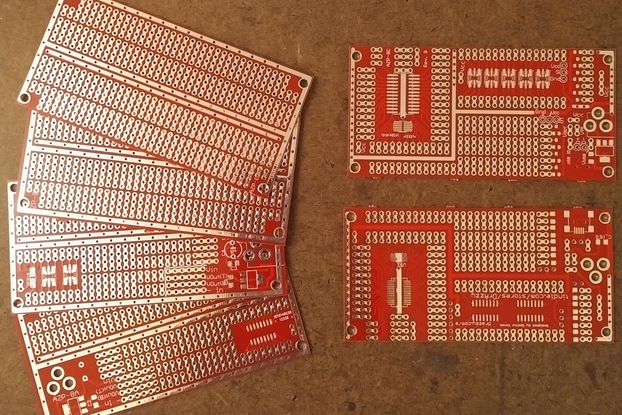 Similar to my other "project boards", this board combines outlines for an ESP32 and power supply circuitry with plenty of prototyping space for SMD and through-hole parts. 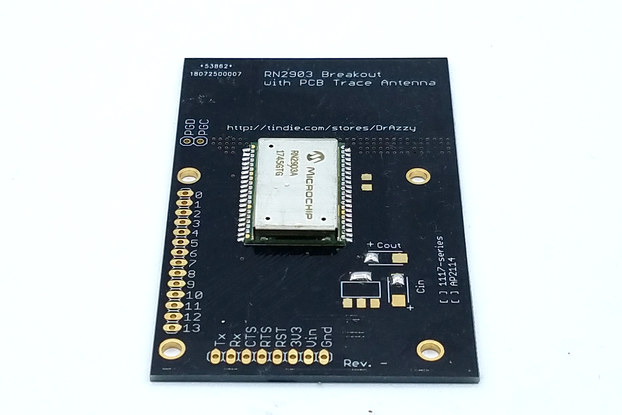 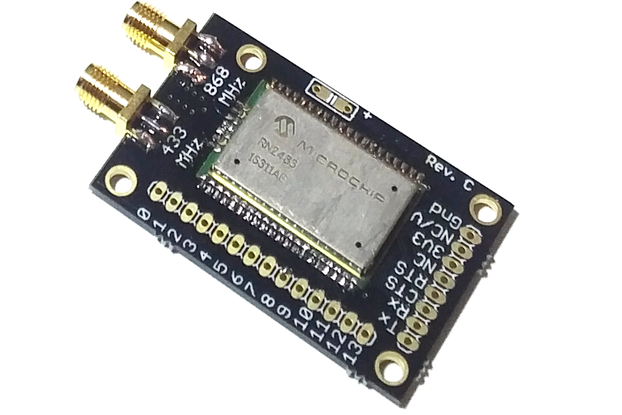 This enables rapid prototyping of projects involving the ESP32, as well as being well suited for unique or nearly unique parts for home hobby projects. 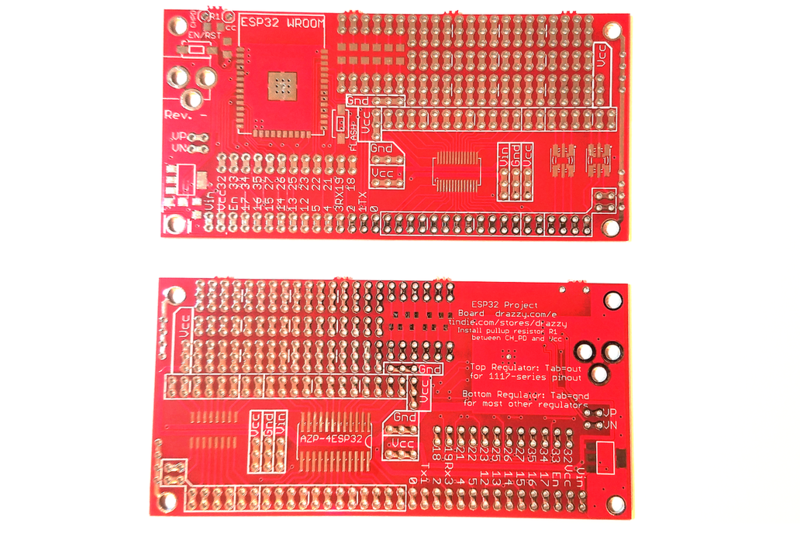 By integrating common SMD footprints on the prototyping board itself, the need to use breakout boards is reduced, and by using real soldered connections (as opposed to solderless breadboard), reliability is greatly improved, and the project can be moved around without worrying about wires getting pulled out. 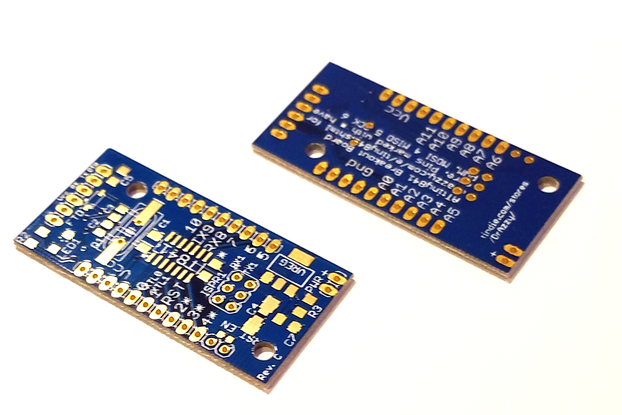 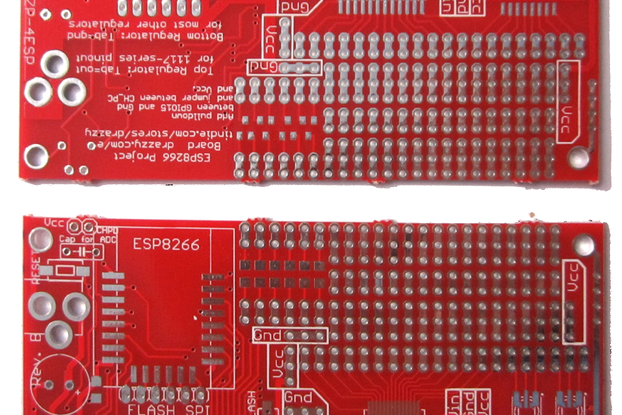 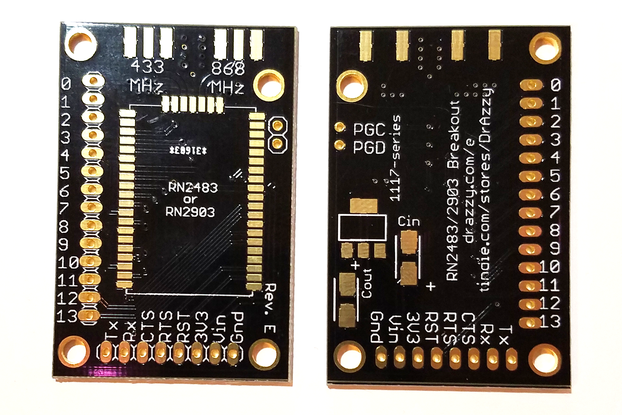 These boards make it easier than ever to make a durable prototype or one-off project with the ESP32. 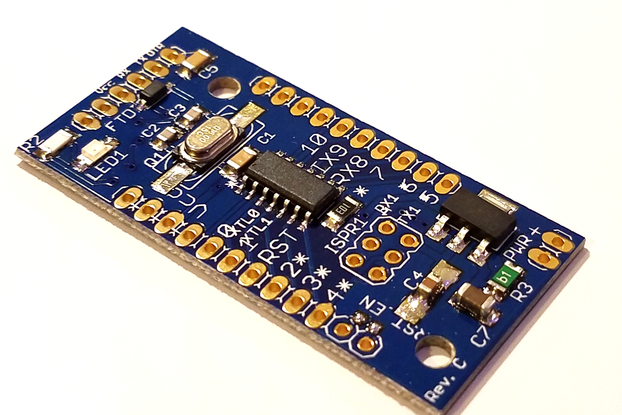 This board features pads for an ESP32 in the ESP-WROOM32 modules on a 2" x 4" board (same outline and hole location as my general purpose 2"x4" boards ). 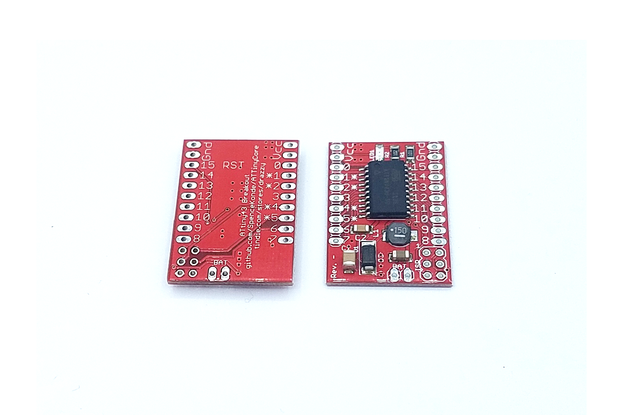 It is compatible with both WROOM32D and WROOM32U modules. 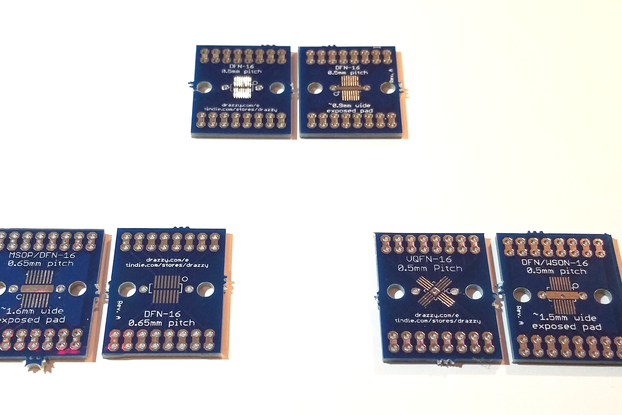 All the GPIO pins except those used for the SPI flash are broken out into groups of through holes along the bottom edge. 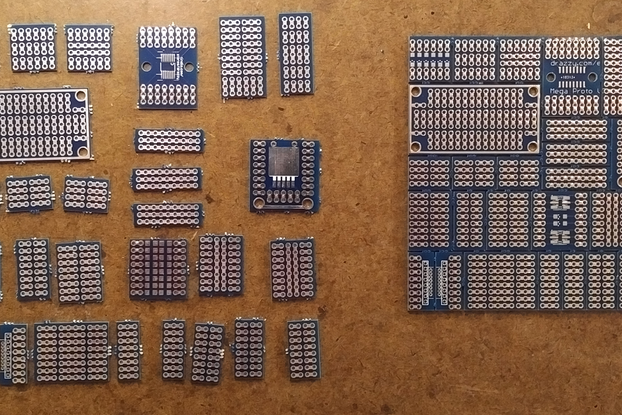 The power supply section can use an SOT-223 regulator with one of two pinouts (only one regulator at a time), either the 1117-series ones, with VOut on the tab (using the outline on the top of the board), or the other pinout common for many lower-dropout regulators, with ground in the middle (using the outline on the bottom of the board). 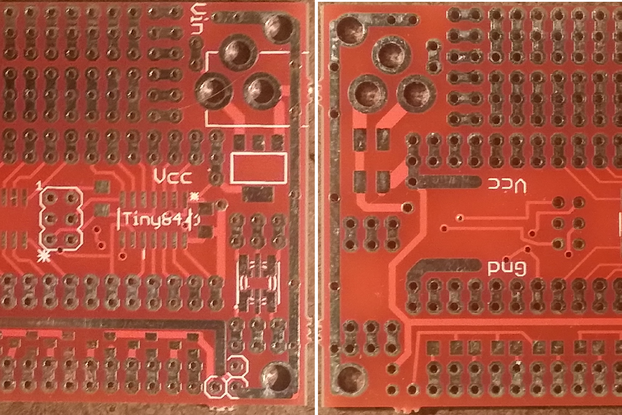 Input and output caps on the regulator should be 1206 and meeting the specs for the regulator. 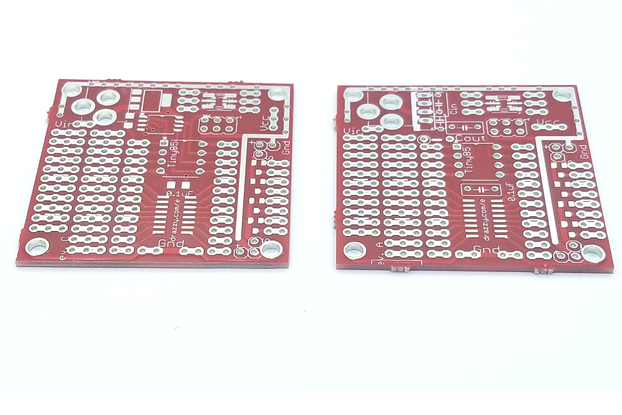 The ground and Vcc lines are routed around the board with nice, thick traces, so you're never far from power and ground, and Vin is accessible in two points as well, including right in the middle of the SMD prototyping area to supply any level shifting IC's you may need.